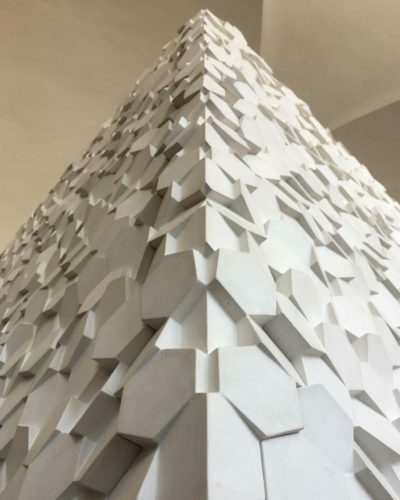 A new 3d surface made by plaster has been recently added to the line of existing textures. 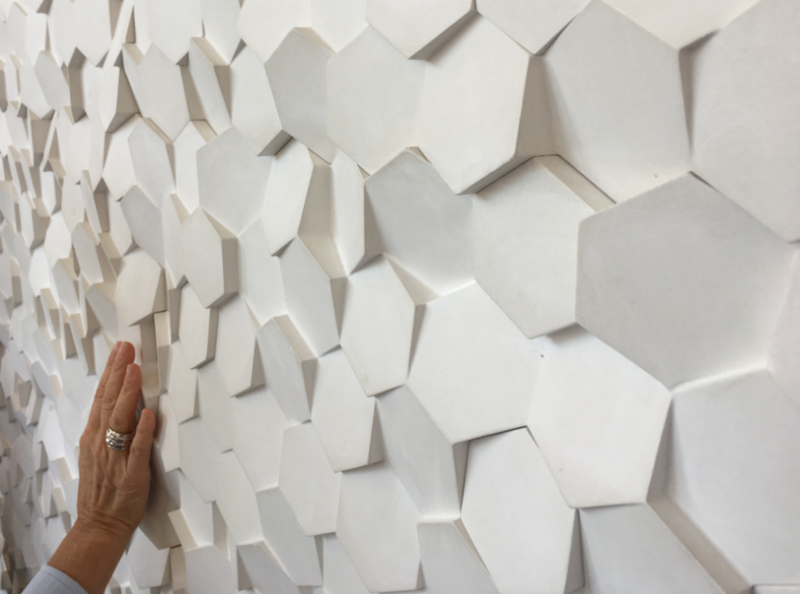 Pushing the plaster material to the limits of its technical performance, a 3D facing of staggered hexagons has emerged that creates a continuous texture, assembled dry. It’s Exagon. 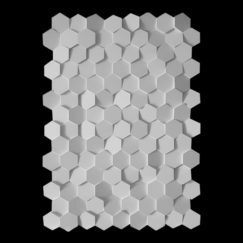 Exagon is a contnuous modular plaster surface made by hexagonal elements positioned side by side with differents heights. This surface instill in a innovative way the materiality of the plaster and produce light reflection that make the clothed object of an extraordinary preciosity. The Exagon texture is a three-dimensional Art Design lining, based on various prismatic modules, which are assembled together to create continuous wall coverings capable of solving direction changes of 90° while maintaining the continuity of shape and design. Such coating consists on modular elements assembled together using mechanical anchors and special engravings able to mask the discontinuous linking lines between the modules themselves and eliminating the finishing by grouting. Thanks to the innovative and sustainable installation system, the installation does not require the use of adhesives or fillers, giving the possibility to be installed simply, quickly and cleanly. 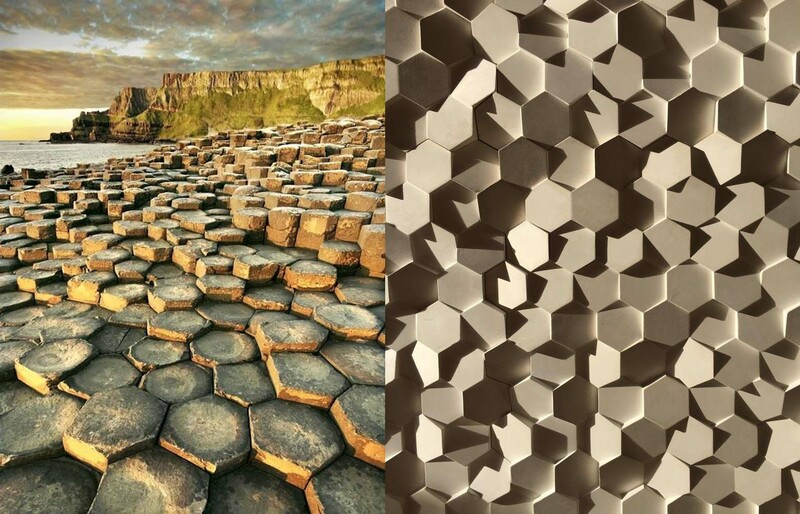 The different depths and inclinations of the transversal faces of the hexagonal elements create unique perspective effects, amplified by the origin and the intensity and quality of the light source. 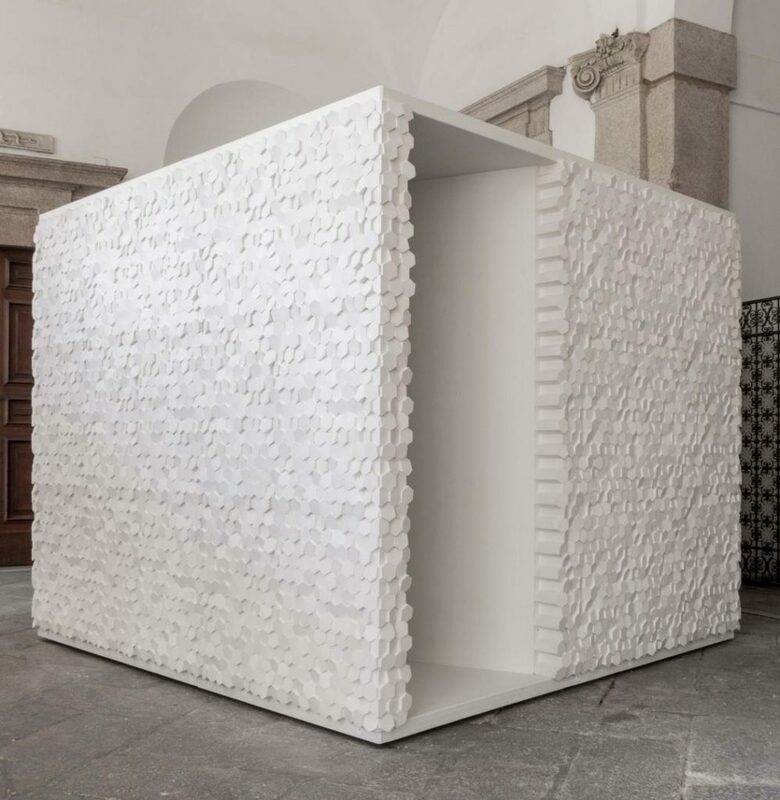 As part of the exhibition event House in Motion, organized by INTERNI magazine, Plasterego presented the new surface Exagon and the contemporary project .pico, a plaster cabinet for a single work of art. .pico is the first project where Exagon, under the art direction of Giorgio Zaetta, merged the tradition of an ancient material with a contemporary micro-architecture. The surface clothed the 4 sides of the cabinets without interruptions, solving direction changes of 90°.